Spain is experiencing its greatest political crisis of the last 40 years, with the Catalan secessionist rebellion strongly threatening the foundations of the state as it was designed in its Transition to Democracy, conducted after the death of dictator Francisco Franco. This pact brought peace and democracy, but did not guarantee political stability in a very complex country, which is still divided between strong ideological and territorial fractures. In the Spanish Civil War, unlike in World War II, „the wrong side won“, as put by historian Eric Hobsbawm, dragging the country to a fierce fascist dictatorship that lasted for almost 40 years. However, the greater tragedy is that Spanish fascism has never been completely defeated, not even during the Transition. Back then, progressive political forces were not able to push Franco’s heirs out of power, limiting themselves to an agreement with them in the pacto de olvido, the pact of forgetting, whereby past crimes were pardoned without reaching the courtroom. Thus, Spanish democracy has never been able to completely bury the legacy of its former dictator and authoritarianism lingers in the political and social spheres. Franco himself is buried and glorified in the Valley of the Fallen, a huge mausoleum that looks down on Madrid, which has had repeated calls for its closure and continuous rejection by the right-wing Popular Party (PP), founded by members of Franco’s cabinet. Whenever PP is in power, authoritarian features come to the fore, especially during state crises, such as today in Catalonia, where the Madrid Government did not hesitate in its use of force in trying to prevent the independentist referendum. But antidemocratic actions have previously been used, such as in the so-called „gag law“ that encourages censorship and is in constant recentralising nationalist attempts to limit autonomous communities’ powers; reminiscent of the Franco times when languages ​​and regional institutions were totally prohibited. 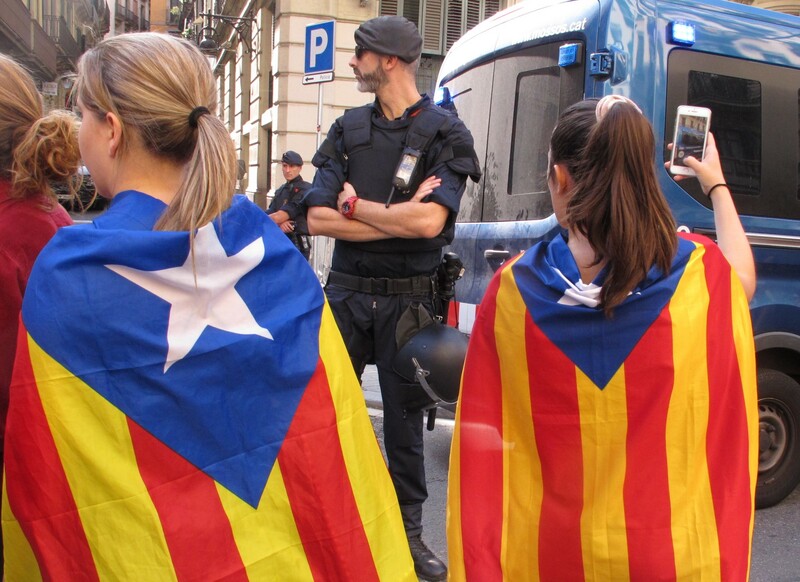 The proliferation of authoritarian behaviour has culminated in Catalans losing patience. If, a few years ago, their ambition was to achieve nationhood status within the Spanish State, today this has proliferated to demands for outright independence. The Catalan crisis underpins the fragility of Spain’s Transition. So far, the regime is responsible for drafting the 1978 Constitution and the return of a highly criticised monarchy. However, the model has been exhausted and now only a new transition led by progressive forces can turn Spain into a tolerant and openly democratic country, where Catalonia can once again feel at home. Unfortunately, the Popular Party, although stained by endless corruption cases, continues to win votes in the rest of Spain due to its hard stance on Catalan secession, while the independentist sector is strengthened by Madrid’s repression and lack of dialogue. Therefore, both gain from maintaining the conflict rather than achieving a peaceful resolution. To stay in power, current political leaders prefer to stir up hatred, putting the region at risk of escalating violence with unpredictable consequences.